Lovely layouts, but it raises the question: will we increasingly see software that simply looks like this, so that the touch controller and soundmaking software are one and the same? 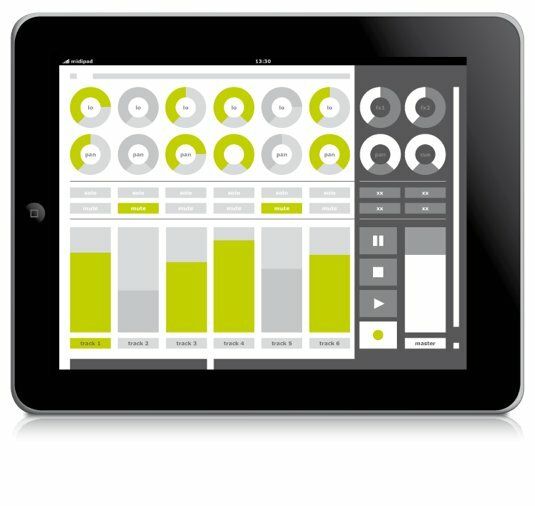 The iPad could have its first killer controller app, if you like the looks of midipad. 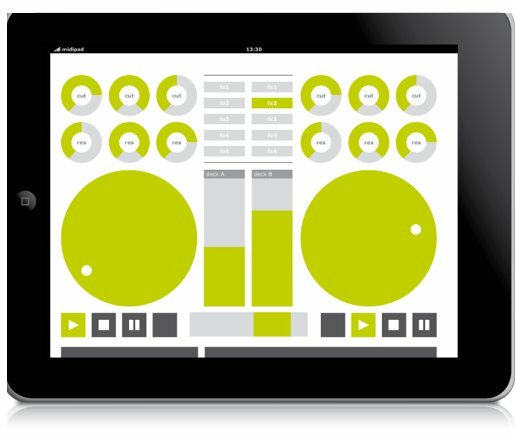 While just a series of screenshots at this point (also promised for iPhone, but not yet available), midipad promises some intriguing features: it’s pretty, it features lovely control layouts and widgets, and it makes use of MIDI networking to make setup and configuration a cinch (especially on the Mac). Pre-built layouts and controls: Buttons, trigger pads, sliders, ribbon controllers, rotary knobs, and pre-defined macro “blocks” like transport control combine to form studio, DJ, launching (as in Live), and effects layouts. Submixes/multiple setups It’s a little sketchy in the description, but it sounds as though you can also combine different layouts. The inevitable comparison will come to the Lemur, the pioneering multi-touch controller from JazzMutant. Those comparisons are fair, indeed. Certainly, the primary appeal I’ve heard from many Lemur users – unique control widgets available on the Lemur platform – are just software. There’s nothing stopping clever developers from making appealing controllers for the iPad (or other Android, Windows, or Linux pads, if any of those prove worthy). And the Lemur doesn’t support this intelligent use of the Mac’s network MIDI support for zero-configuration setup. You sacrifice the tactile feedback of real hardware for flexibility. It appears you have to create controls in advance, not on the fly. The controls still largely emulate the interface paradigm of conventional hardware, rather than imagine new controls for a screen. It’s just a controller, separate from a screen, rather than your sound-making software itself having this sort of touch interface. Actually, I only have one potential criticism, which is that while this low-contrast, white-background layout looks refreshingly different and pretty, it’d likely be blinding in a darkened performance environment. But I’m looking forward to seeing how this works – and I imagine we’ll see a number of other similar apps available even from launch day on the iPad, with more to follow. I’m not buying an iPad, but I will be looking for early adopters who can report back. I am genuinely interested to see how the platform evolves and what developers design for it. Thanks to everyone who sent this in, and yes, Synthtopia beat me to writing this up. What about JazzMutant and Stantum? One of the things I wrote back in 2004 was that I thought, cool as the Lemur was, eventually we’d see the touch display and the software making music, visuals, and the like merge into one and the same device. (Look at it this way: you don’t buy a separate computer to connect your mouse and keyboard to, do you?) Stantum is the sort of company that could enable just that sort of technology. The fact that they’ve stayed in the Lemur business seems to me to be very intelligent, because it means they continue to interface with musicians and DJs – many of whom have remained loyal to the Lemur. 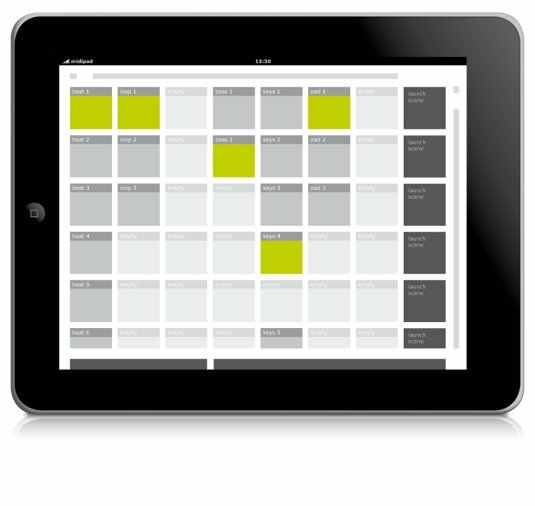 Even if you’re not in the market for a Lemur and get an iPad, Stantum remains one to watch. And if you get neither a Lemur nor an iPad but are interested in where touch is going, Stantum is definitely one to watch. More on Stantum and the rest of the touch landscape soon; the iPad is important, I think, but partly because there is a bigger picture.